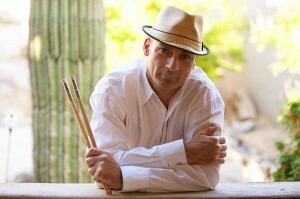 I had the chance a couple of days ago to talk with professional drummer Joe Costello from Arizona, USA. Joe holds a degree in music performance and has played with many artists throughout the years, some of the best contemporary jazz musicians. Ben Wolfe, Joe Magnarelli, Jerry Weldon, Tom Harell, Papa John DeFrancesco, Paul Mark and The VanDorens are just a few of them. Joe is at the core of two projects, The Joe Costello Syndicate, a band that plays live at various events and a jazz band called The Joe Costello Project. Take a second to visit Joe’s website, you can find there more information about his projects, his gig calendar and a contact form for any questions you might have for Joe. I hope you will enjoy the interview.